Soften Cream Cheese in microwave for 1 minute on high. Stir in Pumpkin Spice mix. For best results beat until smooth and creamy with hand mixers. 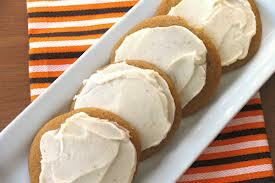 Refrigerate until set, frost cookies and enjoy.